There are three hotels near TD Garden, home of the Boston Bruins NHL hockey team and Boston Celtics basketball team. The Holiday Inn Express & Suites Hotel is literally across the street from TD Garden, with the Onyx Hotel and The Boxer Hotel within short walking distance. 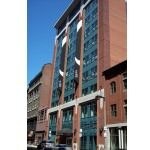 The hotels range from three to fours stars, with the Holiday Inn Express being one of the few relative budget hotel choices in downtown Boston. 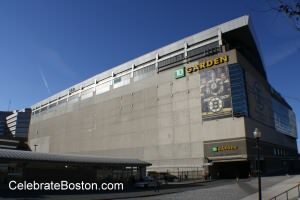 TD Garden replaced the famous Boston Garden arena. North Station, the MBTA commuter rail terminal to suburbs in the north, occupies the first floor of TD Garden. The Sports Museum occupies two upper floors of TD Garden in the outer access hallways, and has many artifacts from Boston sports history. There are seats from the old Boston Garden to a famous hash-mark goalie mask from Gerry Cheever to even the home plate from the old Braves Field. One can also just sit down and relax in certain seats in the arena which is very cool. The neighborhood is simply known as the Boston Garden or North Station Area, but can be referred to as the West End, as it used to mark the boundary of the old West End District that was demolished in the early 1960s. Businesses near TD Garden are geared toward the sports crowd due to the arena of course. 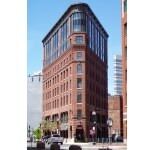 Most of the buildings were originally brick warehouses, as the Charles River used to literally splash up to Causeway Street and ships could load or unload their cargoes at where TD Garden stands today. The Holiday Inn Express & Suites Boston Garden is the closest hotel to TD Garden. The main entrance is on Friend Street, but its north windows face the Garden. The hotel is considered a budget hotel by downtown Boston standards, but is located in a convenient place. A walk south down Friend Street to Congress Street will take you to bustling Faneuil Hall Marketplace and Government Center. In summer, there are free concerts at City Hall Plaza, as well as at the marketplace. The Holiday Inn Express is also closest to Copp's Hill Burying Ground and Old North Church (a bit of a walk) which are famous historic landmarks. The Onynx Hotel is 100 yards or so from TD Garden if you walk up Portland Street. The "Tip" O'Neil Federal Building is located at the north end of Portland Street, and the Suffolk County Family and Probate Courthouse is located at the south end. There are a couple of pubs on Portland Street and a fast-food sandwich shop. Congress Street and access to Faneuil Hall Marketplace, Government Center, and the Freedom Trail is also a short walk south. The unique triangle-shaped Boxer Hotel is located on Merrimac Street. The hotel is closest to state offices that are accessed by walking up Staniford or New Chardon Streets. At the top of the hill is Cambridge Street, which marks the eastern border of Beacon Hill. Cambridge Street begins at Government Center and ends at the Charles River Esplanade park. The hotel was given its name because the layout of the streets in the area was designed by the famous architect Charles Bulfinch in the 1790s. A tidal marsh known as Mill Pond was filled in, with the newly created land being shaped like a triangle, and formed by today's Causeway, North Washington, and Merrimac Streets. If you plan on staying in Boston for a Bruins or Celtics game, there are three choices for hotels in the vicinity of TD Garden. The Holiday Inn Express is closest, with the Onyx and Boxer Hotels nearby. There are several sports bars and pubs in the area, with famous landmarks and government offices located just to the south. The streets are a bit narrow as it was an old warehouse district, but if you enjoy walking there is great access to many parts of the city from the TD Garden area. Area: TD Garden North Station, Map Pin "A"
Area: TD Garden North Station, Map Pin "B"
Area: TD Garden North Station, Map Pin "C"